With the Super Bowl just days away the mass media is revving up the propaganda and the mass mind conditioning messages which in pro sports almost always involves U.S. military worship. As we approach the big game let's remember that the Pentagon literally pays for this worship and adoration from sports fans because they know that young sports fans are their main pool of prospects. 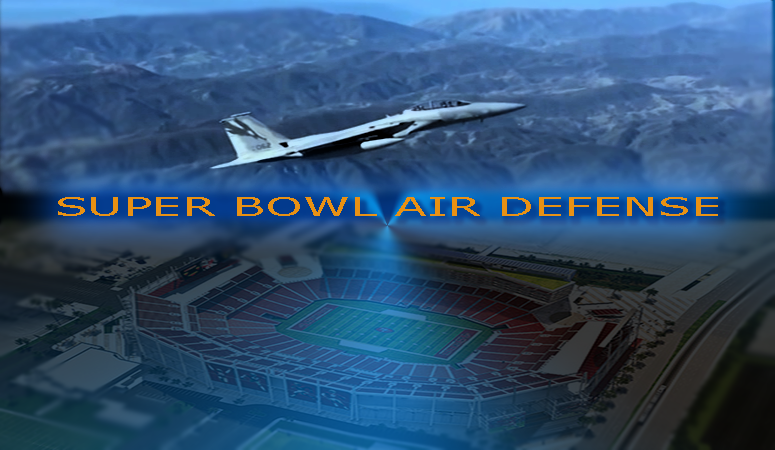 So it shouldn't surprise anyone that CNN is marketing a pro military propaganda video that brags about how the U.S. Air Force will be patrolling the skies at the Super Bowl in Santa Clara California this coming Sunday February 7, 2016. When I came across this video I was thinking, defend the Super Bowl Airspace from who and what?? Are we being conditioned to anticipate terrorism coming from the sky? Is this just another conditioning exercise for accepting martial law? Is this setting everyone up for some type of WW3 triggering false flag? The world is trying to defend itself from the U.S. military while the U.S. Air Force is “defending” the Super Bowl air space from apparently its invisible enemies. It's amazing how the U.S. military has bases all over the world and is the clear world military power, yet they always manage to sell the idea that they have dangerous imaginary “enemies” all over the place. Keep in mind the tactic of creating imaginary enemies is the lifeline of the military funding. If they pull off a false flag on Sunday I'm sure they will have plenty of “intelligence sources” prepared to release those memos to let us know that Russian jet fighters, ISIS or some other enemy of choice attacked or tried to attack the Super Bowl. They may even tell us how the Air Force “saved” everyone. What makes this even more difficult to swallow is not just the fact that the likelihood of an aerial attack from an actual bonafide enemy of the U.S. is close to zero, but the greater thing to notice is how the Air Force promotional video brings the military to you, the civilian, selling you hope and safety. This is martial law being sold as cool and stylish. Americans need to keep in mind that the U.S. military should have no role in our lives. They should not even be mentioned in conjunction with the Super Bowl. There is no genuine threat that local authorities can't stay on top of. With today's high tech surveillance and monitoring of Americans, and with today's loss of privacy you would think an outside threat is at an all-time low. Make note of these ironies as they sell the Air Force and martial law “safety” to us. Realize that they don't want you to recall that the U.S. Air Force is involved in chemtrails spraying or they were directly implicated in numerous highly suspicious sequences of events on 9/11/01. If you are not sure about all of this, don't let this last story go to waste. Use this latest story as a litmus test to determine if you are awakened and informed. Ask yourself, is the fact that the Air Force story being sold to us natural or is there a purpose for this promotional video? If you think it's entirely innocent then you may very well be lost in the matrix of lies. If you've fallen for the simplicity and randomness of this then you are susceptible to their deceit and propaganda. Go out and prove this to yourself until you convince yourself that these promotional videos are not coincidental because I assure you they are not. Seeing the simplicity and obviousness of the agenda to sell martial law, which is the model for the new world order, is where your mind should be. It's time to see the new world order because they are rolling it out with every chance they get. Who knows what surprises the Super Bowl holds? Never before is it more important to be vigilant and watchful. Note to the global elite. We are watchful and we are waiting for your next move. Let the game begin.